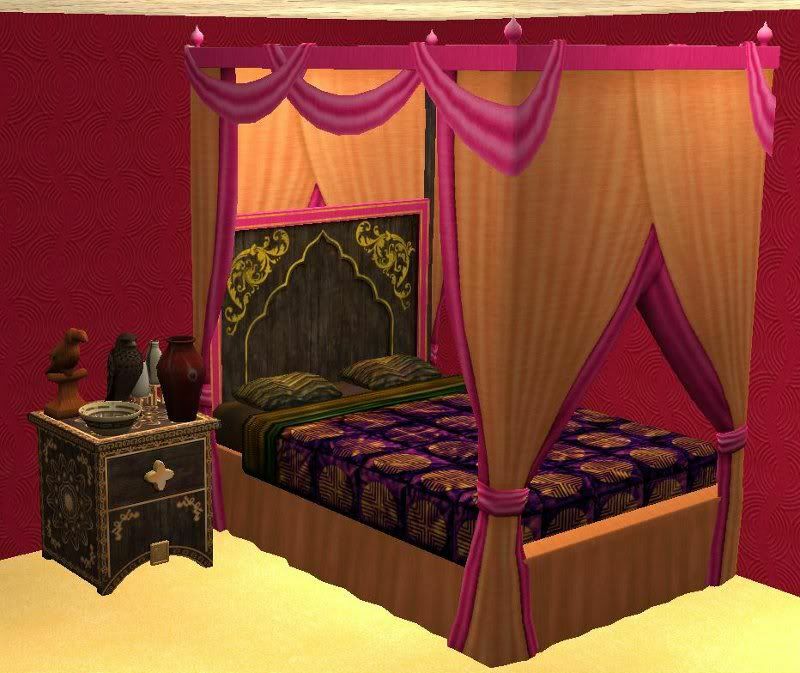 This is The Sims 3 Store Modern Indian bed and end table for The Sims 2. The end table has extra slots for placing whatever you like. The bedding on the the bed is repository linked to Maxis, so all Maxis bedding color choices as well as any custom bedding recolors you have in your downloads folder will show up in this as well. Enjoy! I love you!!!! Thank you!! Thank you! I always loved this bed!!! You are AWESOME!